Spicy Chipotle Guacamole. Smokey, spicy and loaded with flavor. Perfect as a snack or appetizer! Just in time for Cinco De Mayo! Looking for an easy appetizer for Cinco De Mayo? I’ve got you covered. 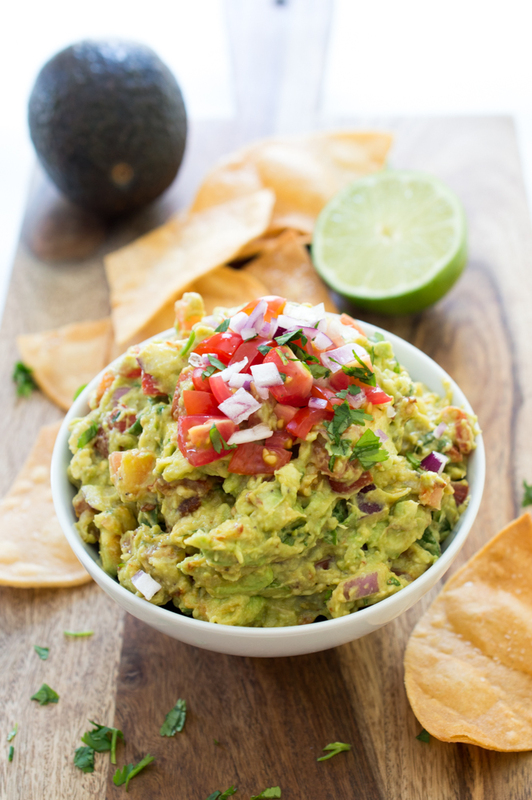 This guacamole is smokey, spicy, chunky and loaded with flavor. If you like spicy foods than this guac is for you. Chipotles in adobo is my secret weapon for spicing up foods and adding a wonderful smokiness. If you haven’t tried it yet your missing out. The chipotles add a smokey flavor to the guacamole as well as tons of heat. You can customize the spiciness to your likening. I typically start off with one chipotle pepper and add more if I want it spicier. This guacamole is extremely easy to make. 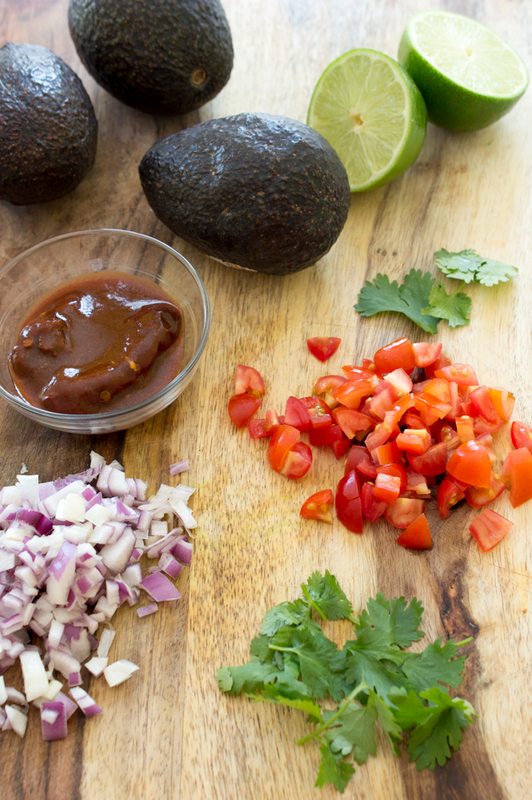 Simply combine avocado, chipotle peppers, red onion, jalapeno, cilantro, tomatoes and lime juice in a medium bowl. Make sure not to mash up the avocado too much. I like those big chunks of avocado in my guacamole. If you are making this for a party you can make part of this ahead of time. I like to chop up my ingredients and toss them together the night before. Right before serving I add in the avocado. I typically tell the ripeness of an avocado first by the color. If it’s dark green (like the ones pictures below) it’s most likely ripe. If it’s bright green it needs some more time to ripen. I then lightly squeeze to see if they are soft which is a good sign that they are ripe. If your going to make guacamole you have to make your own tortilla chips. They are so much better and worth the effort. Wash this guacamole down with my Mixed Berry Margarita or Mojito. 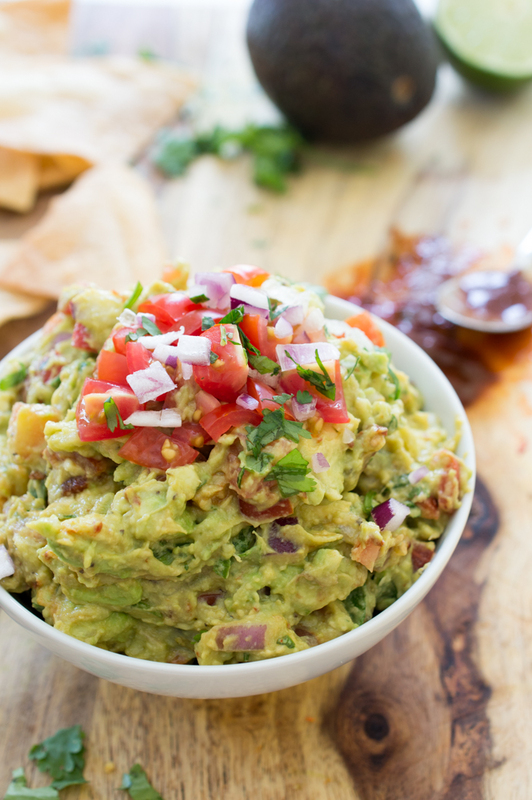 Love this Spicy Chipotle Pepper Guacamole? Here are some more Cinco De Mayo Recipes to try! Combine all of the ingredients in a medium bowl. Mix to combine making sure not to mash up all of the avocado. Serve immediately with your favorite chips! If making ahead of time add all of the ingredients together except for the avocado. Right before serving add in the avocado and mix. Serve immediately. Give me a bowl of this gaucamole.. and some tortilla chips and I will be one happy person. 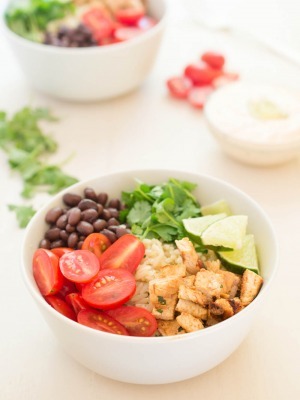 This spicy chipotle gauc looks amazingly delicious Kelley! I love guacamole! I would’ve never thought to add the chipotle peppers, but that’s such a great idea! This guacamole sounds fantastic, Kelley! I love the spicy flavor, sounds just perfect! This guacamole looks amazing! Love the spicy flavor! I could go for a big bowl and some chips right now! Ok, this is just genius! I love chipotle. I love guacamole. Why have I never thought to put the two together?! Yum! This sounds amazing and looks gorgeous! 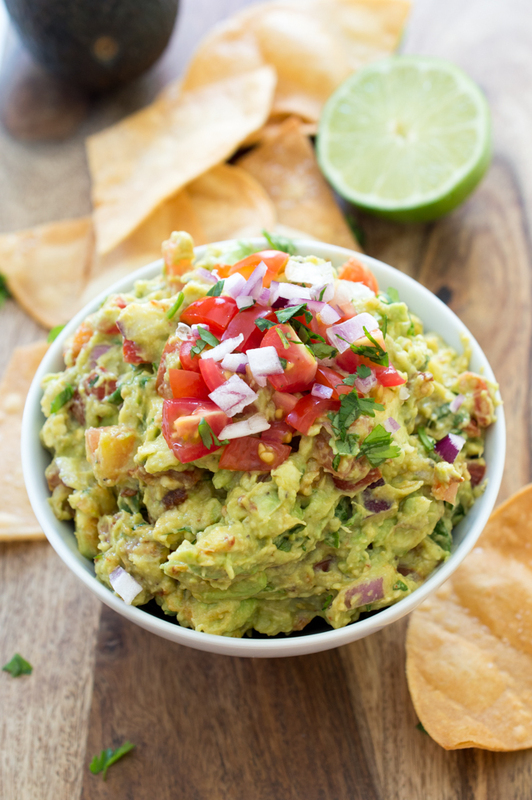 You can never have too many guacamole recipes! I’m all about chunky guac, the chunkier the better. And this looks so perfectly chunky, spicy and fresh- yum! I love guacamole and have some leftover chipotles to use up – definitely going to try this for cinch de mayo! This guacamole looks divine! So perfect for Cinco de Mayo! Thanks for sharing, Kelly! I want to dive right into this bowl of guacamole!